The track of the Hurricanes encompasses over a dozen records, ten years, four names, four labels, one movie, and a host of fine music, including "Poor Little Dancing Girl," a collectors' favorite. Their story begins around 1950 in Brooklyn's Bedford-Stuyvesant section. Some students at JHS 35 started singing together, using the Orioles as their inspiration. They were: John Kelly (lead tenor), Kenny Drye (second tenor), Fred Williams (baritone), and Vernon Britton (bass). Starting in 1952, John Kelly concurrently sang with the 4 Fellows (and was on their Tri-Boro recordings of "Stop Crying"/"Break My Bones"; he'd leave them by late 1953). Calling themselves the Tune Toppers, the songs they sang were mostly original compositions, done in an Orioles vein. Other influences were Clyde McPhatter and the Dominoes, and Jimmy Ricks and the Ravens (although Vernon's favorite bass was gospel singer Jimmy Jones). As a manager, the Tune Toppers used Fred's uncle, Mack Jones, who was known professionally as "Jelly Roll" (of the comedy team of Jelly Roll and Zu Zu). Along the way, they added a fifth member, pianist and arranger Gabriel Gill. While the record never seems to have been sent out for review, its competition was the Drifters' "Such A Night," the Ravens' Mercury rendition of "September Song," the 4 Blazes' "All Night Long," and Louis Jordan's "Dad Gum Ya Hide Boy." Soon after, the group started to reorganize. John Kelly "disappeared" (as Vernon puts it) and was replaced by a friend from Franklin Avenue, lead tenor Jerry Halfhide. They also brought in tenor Sam Fickling as a fifth voice. However, neither member lasted very long. Jerry was only around for about a month, and Sam was only on a few gigs. But they needed a photo for one of their appearances, and both happened to be around at the time. When Sam Fickling left, he was replaced by lead tenor Henry Austin. Then, Kenny Drye departed too, to be replaced by James "Sharky" Brown. 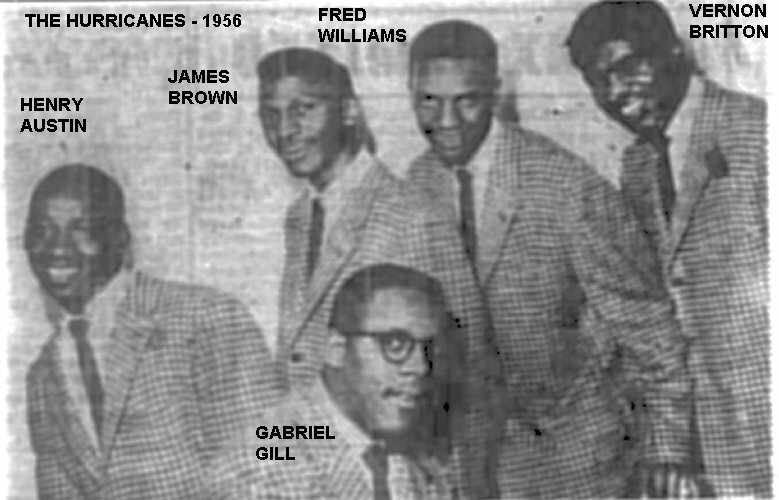 The Toppers were now: lead tenor Henry Austin, second tenor James Brown, baritone Fred Williams, bass Vernon Britton, and arranger/pianist Gabriel Gill. The Jubilee record didn't click, but through his connections (since he was an established performer), Jelly Roll got the group a contract with King Records. The Toppers recorded their first two sides for King at Bell Sound Studios on June 15, 1955: "Pistol Packin' Mama" and "Poor Little Dancing Girl" (both led by Henry Austin). Henry, who was capable of many different sounds, would do most of the lead chores. 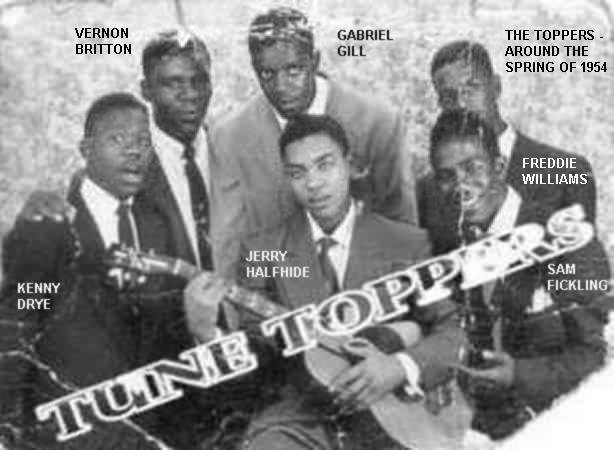 However, King Records didn't like the name "Toppers," so once again the group underwent a name change, this time to "The Hurricanes" (a name someone at the company picked out for them). The tunes were released in July 1955, and were reviewed the week of July 30 (with "Pistol" getting a "good" review and "Dancing" only getting a "fair"). Note that the song was originally "Poor Little Party Girl," but someone at King felt that the title could be misinterpreted as being about a prostitute. However, if you listen closely, some guys are saying "party" and some "dancing." This is the price you pay for last-minute changes. Other reviews that week were for the Flamingos' "I Want To Love You," the Midnighters' "Give It Up," the Penguins' "Walkin' Down Broadway," Mickey & Sylvia's "Se De Boom Run Dun," and Smiley Lewis' "I Hear You Knocking." One quick way to pick up some extra cash was to do backup work. 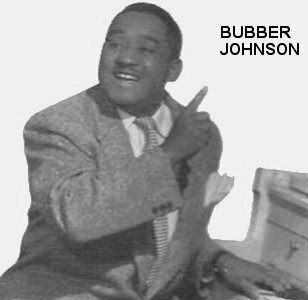 Early in their career at King they got to back up Bubber Johnson on four songs: "Have A Little Faith In Me," "Come Home" (one of those rare R&B songs with a harp), "There'll Be No One," and "My Lonely Heart." Vernon says: "Everyone was looking for a group sound. Groups were making extra money doing backup work." "Come Home" and "There'll Be No One" were released in August 1955. "Come Home" was given a "good" rating on September 10, along with the Moonglows' "Starlite," the Empires' "I Want To Know," the Chimes' "Zindy Lou," the Feathers' "Love Only You," and the Sheiks' "So Fine." The Hurricanes' next session was held on November 29, 1955, at which time they laid down four tracks: "Raining In My Heart," "Maybe It's All For The Best," "Yours," and "Tell Me Baby." 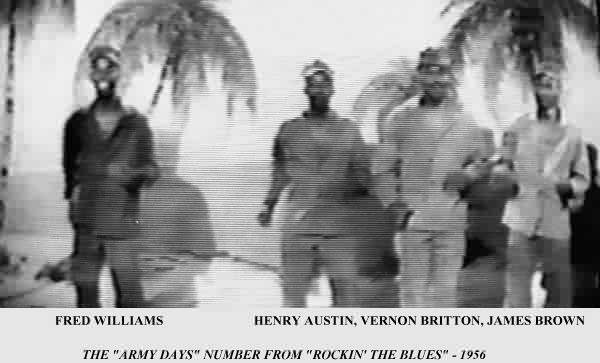 The first two are led by Henry Austin; "Yours" features Henry and Fred Williams; and "Tell Me Baby" is fronted by Fred. In January 1956, King issued "Maybe It's All For The Best," backed with "Yours." The disc was reviewed on January 14, with both sides rated "good." Other reviews that week went to the Flamingos' "I'll Be Home," the Clovers' "Devil Or Angel," the Midnighters' "Partners For Life," Richard Berry's "I Am Bewildered," the Mello-Harps' "I Love Only You," the Fi-Tones' "It Wasn't A Lie," the Teen Queens' "Eddie My Love," and the Dikes' "Don't Leave Poor Me." When these failed to take off too, King released "Raining In My Heart" and "Tell Me Baby" in February. They were reviewed (both "good") on March 10, along with Little Richard's "Little Richard's Boogie," the Rainbows' "Mary Lee," Charlie & Ray's "Little Fool," and Sam Taylor's "Blue Suede Shoes." On April 9, it was back into the studio, where they recorded "Your Promise To Me" (led by Henry Austin), "Little Girl Of Mine" (led by James Brown), "Dear Mother" (James Brown), and "You May Not Know" (Henry Austin). While they were there, they got to back up Jerry Dorn, a white singer who wanted a black backup group, on "Sentimental Heaven" and "Wishing Well." There were also some uncredited backup sessions, for Ruth Brown and Little Willie John, but those songs never became hits. Later that month, King released "Your Promise To Me" (a mistitled cover of the Drifters' "Your Promise To Be Mine), backed with "Little Girl Of Mine" (a cover of the Cleftones' hit). The disc was reviewed on May 5 (with "Girl" rated "good" and "Promise" ranked "fair"). Other reviews went to Little Willie John's "Fever," the Squires' "Venus," Boogaloo's "Big Fat Lie," the 5 Chances' "Gloria," the Rockers' "I'll Die In Love With You," and the 4 Jacks' "Walking And Crying." The two Jerry Dorn sides were issued in May, but the Hurricanes' name never made it to the label. In June, King released the other two backups to Bubber Johnson: "Have A Little Faith In Me" and "My Lonely Heart." Both sides were rated "good" the week of June 30, along with the Pretenders' "I've Got To Have You Baby," the Cadets' "Stranded In The Jungle," the Valentines' "Twenty Minutes Before The Hour," Richard Berry's "Yama Yama Pretty Mama," the Vocaltones' "Darling (You Know I Love You)," the Nitecaps' "Bamboo Rock And Roll," and the Meadowlarks' "Please Love A Fool." July saw the issue of "Dear Mother" and "You May Not Know." They both got "good" reviews on July 21, along with the Gassers' "Hum De Dum," the Tempters' "I'm Sorry Now," Bill Doggett's "Honky Tonk," the Cues' "Crackerjack," the El Dorados' "Chop Ling Soon," the Spaniels' "Since I Fell For You," the Phantoms' "The Old Willow Tree," and the 4 Dots' "Peace Of Mind." And then the Hurricanes got a unique opportunity. Jelly Roll got them a spot in Rockin' The Blues, a movie being filmed at the Sunset Studios in Harlem. This film had the thinnest of plots, used to connect DJ Hal Jackson introducing several acts of varying popularity. The story line centered around comedians Mantan Moreland (who had played "Birmingham Brown" in many of the Charlie Chan movies) and Flournoy Miller (who had written the musical "Runnin' Wild," which had introduced the Charlston). The two were ineptly attempting to sneak into a show, which featured the Wanderers, the Harptones, the Miller Sisters, Connie Carroll, Pearl Woods, Linda Hopkins, Teacho Wiltshire's Band, and, of course, the Hurricanes. This extravaganza was produced by music impresario Fritz Pollard (who had been the first black All-American football player and manager of the Solitaires and Leslie Uggams). The movie contains some incredibly primitive editing (for example, much of Hal Jackson's speech is out of synch with the picture, and the scenes with Moreland and Miller seem to be inserted almost at random, instead of any logical order). There is also some unintentional comedy when black extras are shown filing into the theater as the "audience," and then the camera cuts to a spliced-in stock scene of an audience, which is all white. The Hurricanes only spent one day working on the film (along with Linda Hopkins and the Miller Sisters). They sang two songs: their latest King release, "You May Not Know," and "Army Life" (listed on the soundtrack album as "I'll Be Glad"). Henry Austin led the former, and Fred Williams the latter. The tunes were pre-recorded that same day and there wasn't much time to practice. This is why, when Fred is distracted by an actress walking across the stage, he forgets to move his mouth to lip synch, although the sound track is still going. Rockin' The Blues opened at the Apollo Theater on October 19, 1956, when the acts onstage were the Wheels, Sugar & Spice, Marie Knight, and Pigmeat Markham. The Hurricanes' final session for King took place on January 11, 1957. The four songs recorded were: "Fallen Angel," "Priceless," "I'll Always Be In Love With You," and "Now That I Need You" (the song that the Mello-Moods had recorded as "Where Are You"). The first two were led by Henry Austin, and the others have no single lead. "Fallen Angel" and "I'll Always Be In Love With You" were released later that month, and were reviewed on March 2 (both "good"), along with the Platters' "I'm Sorry," Little Richard's "Lucille," and Jimmy Ricks' "Bad Man Of Missouri." The final King release was "Priceless," backed with "Now That I Need You," issued in April, 1957. 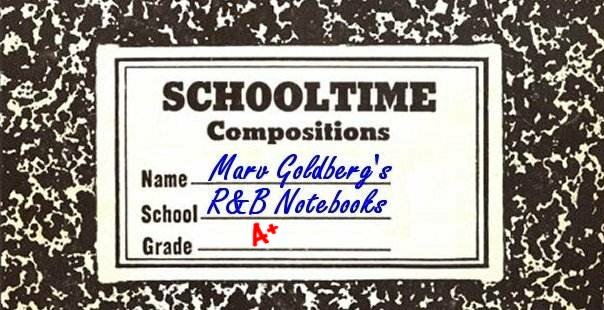 They were reviewed (once again, both sides were ranked "good") on April 27, along with Fats Domino's "It's You I Love," Lavern Baker's "Jim Dandy Got Married," the Tunedrops' "Rosie Lee," the Mello-Tones' "Rosie Lee," Dave Bartholomew's "The Monkey," Little Richard's "Maybe I'm Right," and the 5 Keys' "It's A Groove." Although the Hurricanes never had any major hits, the fact that their manager was himself a well-known performer was enough to get them bookings out of all proportion to their record sales. They played the Howard, Royal, Apollo, and Earle theaters, as well as headlining many smaller shows. 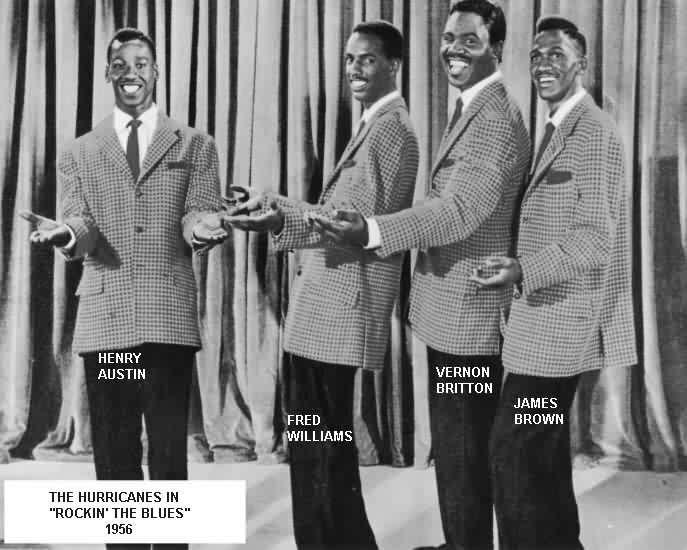 The Hurricanes produced some lovely ballads for King: "Poor Little Dancing Girl," "Maybe It's All For The Best," "Raining In My Heart," and "Dear Mother," but their biggest seller was probably their cover of the Cleftones' "Little Girl Of Mine." Along the way, they did some old standards: "Pistol Packin' Mama," "Yours," and "I'll Always Be In Love With You." After the last King session, the group became disillusioned with King, and once again Jelly Roll came through. He hooked them up with Jerry Field's new Skyline Records, where they had a November 1958 release called "Once In A Beautiful Lifetime," backed with "I Dare You Baby." However, while the whole group was on the record, the label only credits Henry Austin (as "Henry Alston"). The disc was reviewed on November 17, 1958, with "Once" rated "good" and "Dare" receiving a "fair." Other reviews that week were for Little Richard's "Early One Morning," the Olympics' "Dance With The Teacher," Dee Clark's "Nobody But You," Lavern Baker's "I Cried A Tear," the Del Vikings' "Flat Tire," and the Chanters' "Over The Rainbow." Then Jelly Roll found a man named Bill Lasley, who wanted to start a new record company and was looking for talent. Lasley ended up forming Memo Records (he had originally owned the Amp-3 label) and convinced the Hurricanes to become the "Memos." Before they recorded, however, Fred Williams was drafted; he was replaced by his brother, Eugene. Around the same time, they picked up guitarist Walter Rhodes. The first Memo record, released in May 1959, was "I'm Going Home," backed with "My Most Precious Possession." Both sides were led by Henry Austin. "Home" was rated "fair" and "Precious" received a "poor" on May 25, 1959. Other reviews that week went to Dave "Baby" Cortez' "The Whistling Organ," Sam Cooke's "Only Sixteen," Clyde McPhatter's "Since You've Been Gone," the Impressions' "Shorty's Got To Go," the Ravens' "The Rising Sun," and the Desires' "Let It Please Be You." In September, Memo released another disc: "The Biddy Leg," backed with "My Type Of Girl" (two more songs led by Henry Austin). They were reviewed on October 12 ("My Type Of Girl" received a "good" rating, while "The Biddy Leg" was only ranked "fair). The other reviews that week were for Fats Domino's "Be My Guest," Little Richard's "Maybe I'm Right," the Jaguars' "Thinking Of You," Nappy Brown's "So Deep," and the Barons' "Gravel Gert." Although Memo was a small label, the group got more airplay from "My Most Precious Possession," than from all their King sides combined. "The Biddy Leg" was their most popular stage presentation, being a take-off on the Coasters' "Along Came Jones." In 1959, the group got to do a year-long tour of Canada, with a troupe that contained country singers and a belly dancer. All they received was enough of a weekly allowance to pay the hotel bills and eat. They were told that the rest of the money was being held back, to be paid at the end of the tour in one lump sum. However, before the tour ended, the promoter ran off with the belly dancer, leaving the rest of the acts stranded. This was the last straw, and the Tune Toppers/Toppers/Hurricanes/Memos disbanded. There was one more "Henry Alston" record that I'm aware of ("Hey Everybody"/"So Many Lonely People" - Colpix 731 - ca. 5/64), but this didn't have the Hurricanes. Vernon Britton has stayed with the music industry, producing acts like Crown Heights Affair and Unyque. He owned Britne Records along with partner Frieda Nerangis. (The early 70s saw a release by Ben Iverson & Neu Dey Express, the act that would become Crown Heights Affair. Iverson had been an original member of the Hornets.) Maybe the Hurricanes didn't generate a Force Ten wind, but the gentle breezes of "Dear Mother" and "Poor Little Dancing Girl" are still wafting down through the years.